#vinitaly 2016 and the early year trade shows are now behind us. 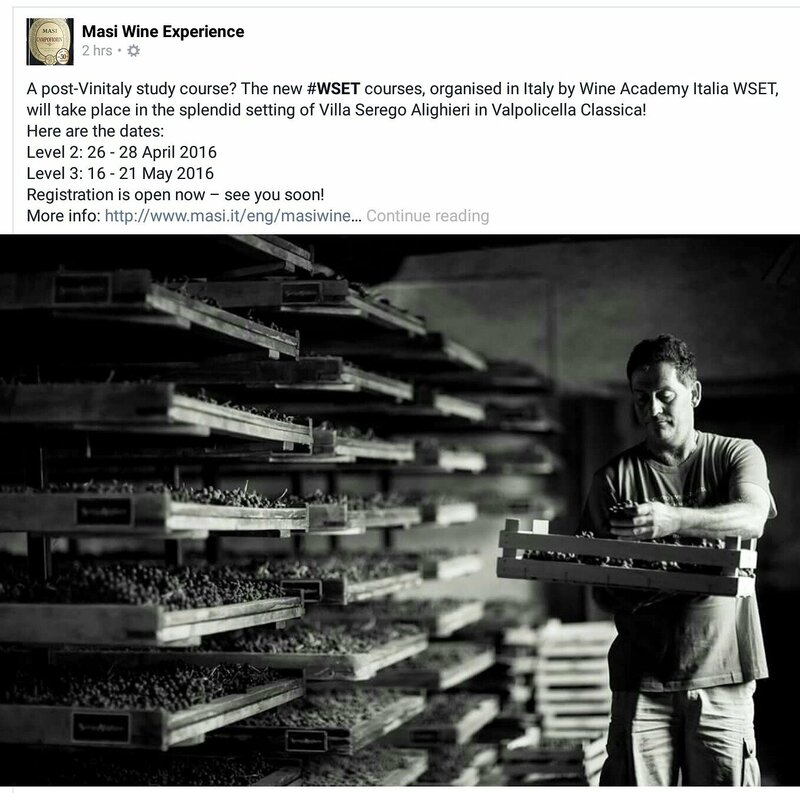 Wine Academy Italia has a series of WSET courses in Italy this Spring and early Summer. During April we are delighted to be returning to beautiful Serego Alighieri and Agricola Masi in Valpolicella. This is a great place to study, with an opportunity to visit their respective historic cellars. Not only is the available food and wine of the very best quality, the people are great too!